Large indoor saloon with an amazing 360 degree panoramic view. 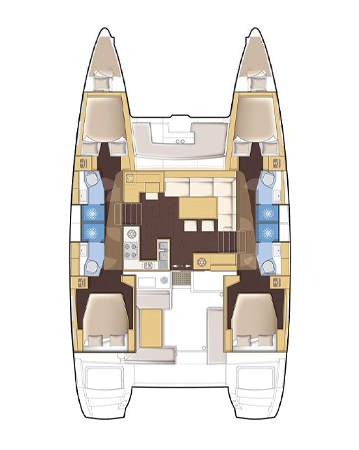 The saloon is fully air-conditioned with 26 inch flat TV and Bose sound system. Home style kitchen equipped with 3 sinks, cooker, oven, microwave, fridge/freezer, coffee machine Nespresso and barbeque.